UPDATE: Google has restored the missing links and fixed the reported problems. 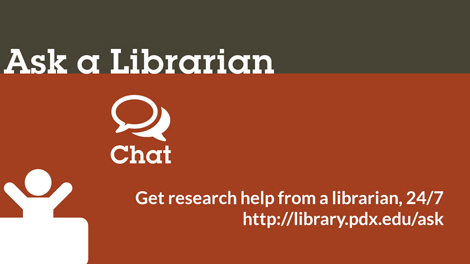 If you continue to have any problems accessing library content, please ask a librarian for help. Google Scholar is usually a great way to access content at PSU Library. However, many of their links to library content are missing or broken. This problem seems to be happening with many libraries, not just PSU. Google is aware of the problem and working on a fix. Right now they estimate the links will be working again on Thursday, November 27. In the meantime, you can search for eJournals by journal title on the Library website or ask a librarian for help. We are available on the second floor of the Library, by phone, by email, by text, and by chat.